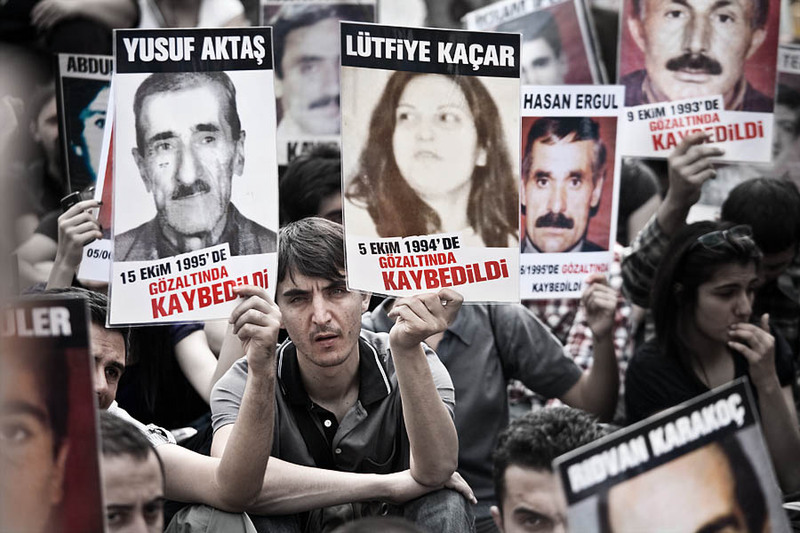 A man holding a picture of a disappeared relative as part of a silent protest in Galatasaray, Istanbul, Turkey. A very emotional street scene that we encounter while walking on Taksim street. A hundred of people were seating in front of Galatasaray high school holding these pics. Some Googling told me that the beloved relatives disappeared during the 1980-2000 events in Turkish Kurtdistan. Tres reussie ! Son expression est tres touchante, et la photo est vraiment bien composee.